General strength is just that – whole body, non-specific strength. The activities that comprise general strength are far reaching and almost unending. With GS training, weights are not used, rather it is simply body weight that creates the load. This makes it easier for athletes to follow the routine as athletes can perform GS training from almost anywhere. As singular activities, general strength (GS) exercises are comprehensive and useful for balancing out potential deficiencies. Strength imbalances are precursors to overuse injuries, the most common type of injuries with endurance sports. General strength also creates a good baseline of strength, easily built upon with weight training. General strength is subject to the same physiological tenants as other aspects of training. A good starting point is to determine how many weeks a season or training block will contain. Knowing that most physiological adaptations occur after three to five weeks, the next step will be dividing the training block into the appropriate phases, which are: General, Specific, and Competition. Changing the stimulus in each phase should ensure adequate progression throughout the season. Determining what type of exercises to incorporate on certain days may be a bit more challenging. There are different schools of thought on how and when to incorporate GS. Some examples would be: GS on hard days to keep these days harder, or GS on easy days to introduce different movements that may aid in injury prevention. These differing opinions have their own merits. Ultimately, experimentation with different methods will lead to appropriate individual implementation. Additionally, how GS is used on a daily or weekly basis may be influenced by other types of ancillary training, such as strength training with weights. However, GS exercises are the easiest to access as they require little to no equipment. As mentioned earlier, imagination is the limiting factor on GS exercises. That said, classifying exercises can help with their implementation. Groups can include: General Strength (body weight) circuits, Specific Strength (spinal/core) circuits, Medicine Ball circuits, Barefoot routines, and Multi-group routines. Time constraints or concerns are often cited as a reason athletes do not incorporate ancillary training into their daily exercise routine. Thus the goal is to make the routines efficient, yet incorporate exercises that span a broad range of movements. 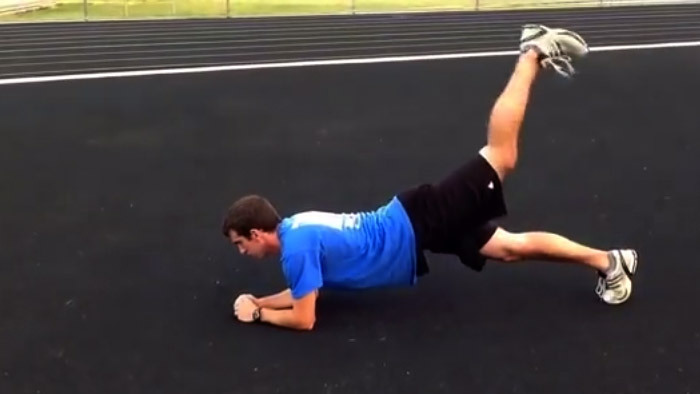 The relatively small amount of additional time spent doing ancillary exercises can yield large dividends in terms of injury prevention and increased endurance training capacity. To offer a deeper look at what all this information means, and to try GS training for yourself, download this free GS Training Plan into your TrainingPeaks account. The 15 week plan includes the exercises for all circuits, along with videos on how to perform each exercise properly.